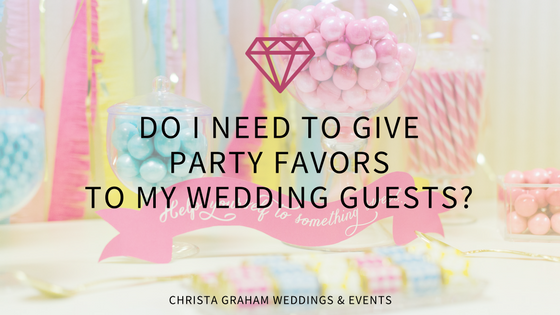 Do I need to give party favors to my wedding guests? Party favors can seem like such a waste of money, especially when you look at your total wedding budget. In comparison to other, high-ticket wedding items, a party favor can seem like the easy item to cross off the list. So, do you really need to give party favors to your wedding guests? 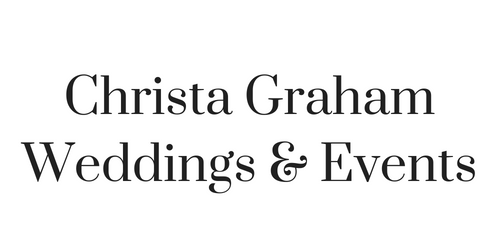 The short answer is: No, you don’t. The longer answer: Party favors are a nice gesture, allows you to tell a bit more about your love story, and can create an extra element of fun to the party! Party favors are a nice gesture. When you take into account all that your guest had to do to attend your wedding…buy an outfit, devote almost an entire day to your event, possible time off work, travel time and expenses, buying a wedding gift and possible babysitter expenses…a party favor doesn’t seem like such a waste of money after all. A party favor is a great way to extend your wedding theme or tell more of your love story! Choose a favor that represents a key moment in your relationship. Tell this story on a tag attached to the favor or in a beautiful frame on the favor table. An extra element of fun. Your party favor doesn’t have to be in a tiny cardboard box! Hire a photo booth and give photo strips to your guests. Or have a full dessert buffet to offer your guests a sweet ending to the evening! Will people be upset if you don’t give them a wedding favor? Probably not. Will they appreciate the extra special touch if you do? Absolutely! So, if you can squeeze it into your budget, spring for it. But, if your budget needs some extra wiggle room, forget it and have a great time with your guests!! Want me at your disposal to answer the tough questions like this? Send me a message!